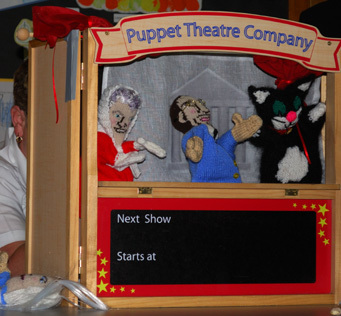 After his lesson on Punch & Judy Mr. Malcolm set a homework for the houses: write your own play. 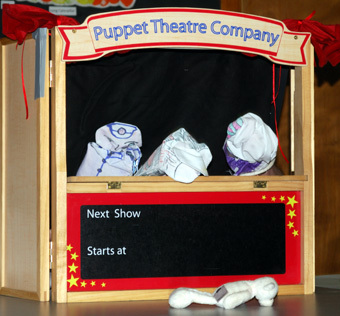 These were performed as puppet theatre at the next School. Oops! Someone dropped the baby. Is that Matron Godders passed out? Celts even brought their own furniture. 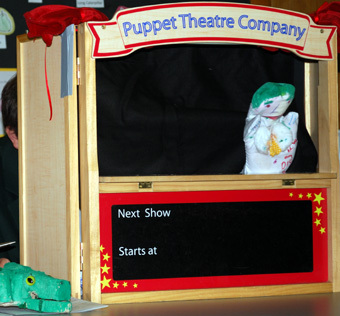 Not the sort of crocodile you would expect with schoolchildren. These were taken from displays of an amazing amount of work. 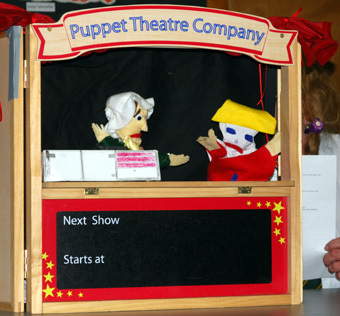 The pupils had written the scripts, made the puppets and built their own props. This gave the performances a much wider range than simply providing a set of stock characters. The origins were still apparent in the traditional characters: the crocodile, the cat(? ), the Judge and . . . the Postman!